Between appearing in Pete Townshend’s memoir, returning to the annual Bridge School Benefit, and joining other people’s bands (re: Gaslight Anthem, Kings of Leon), Eddie Vedder is verging on Dave Grohl-levels of busy-ness. Fitting then, that only a week after we learned of the main Foo’s new SiriusXM radio show, Pearl Jam’s best man is getting one of his own. 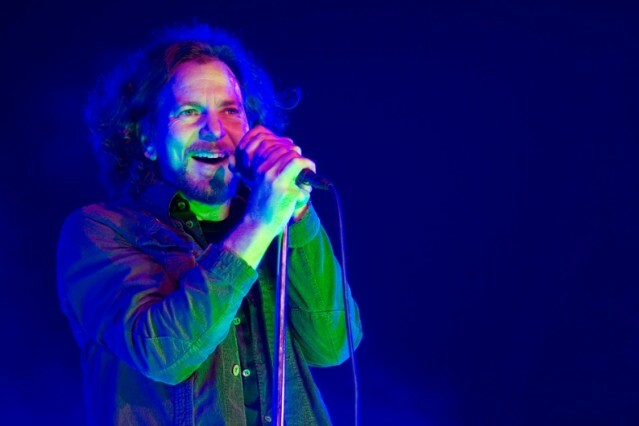 “The Eddie Vedder Radio Show” will be a limited-run series featuring music handpicked by its host — “his all-time favorite songs, from early punk rock influences to unreleased material from his personal archives” — not to mention personal stories and, if we’re lucky, some political punditry. The show will premiere on Wednesday, December 5, at 5:00 p.m. ET on Pearl Jam Radio. For those unaware, the channel 22 station specializes in archival concerts from across the band’s career, unreleased and unheard tracks from the group’s vaults, and songs from side projects like Temple of the Dog, Mad Season, and pre-Pearl outfit Mother Love Bone. “The Eddie Vedder Radio Show” will also be available via SiriusXM On Demand and the Internet Radio App post-broadcast.